Trends keep changing all the time and wedding food has definitely caught on. Amongst some of the food trends that we found interesting, mini food stood out to us. Specifically, mini wedding cakes! Aren’t they adorable? I’d love to have some of these at my own wedding. Why? Because they’re that perfect combo of cute + convenient! Having individual desserts is a good idea for wedding guests. You even get to have assorted flavours and designs, instead of having to stick to just one. You can have them in so many different ways! These stacked macarons are a good option. You can also replace them with cookies! So guys? 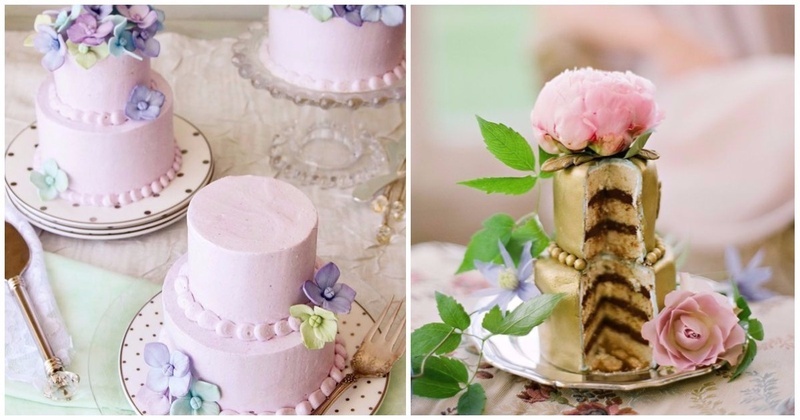 Would you try this new wedding dessert trend at your own wedding? Let us know!